It appears that Apple is still kids’ favorite gadgets company when it comes to Christmas gifts. 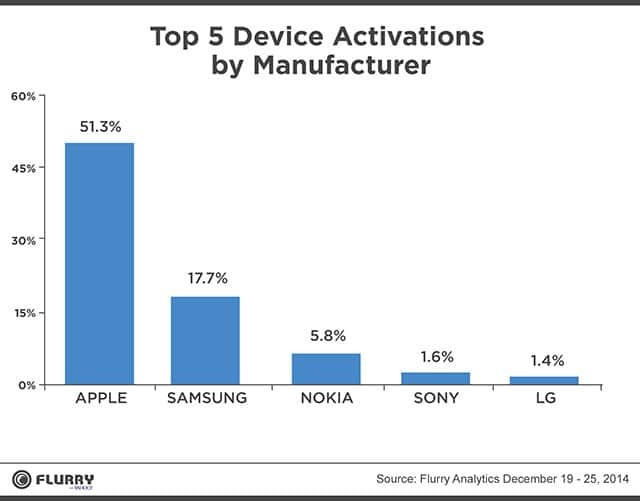 New data from Mobile analytics firm Flurry suggests that no other cellular device manufacturers where even close to Apple when comparing device activation. The data shows worldwide activation of devices from Android, iOS, and Windows Phone manufacturers. 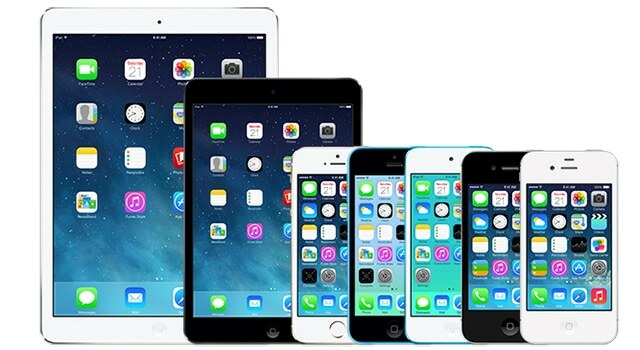 As the data points out, Apple came first on the chart obtaining 51% of activations thanks their iPhone and iPad. Following Apple was Samsung, Android’s top manufacturer, obtaining 18 percent of new activations worldwide. Nokia ended up in third place obtaining 5.8% share for mostly Lumia devices – which is very impressive considering there are dozen of giants Android manufactures after Samsung. The last two were filled with Sony and LG devices who barely made it to 1 percent of the market. The data also suggests that there has been a huge increase in ‘phablet’ devices. Popularity of ‘phablets’ increased by 9 percent compared to last year 4%. This year 13 percent of activated devices were phablets while only 4% were phablets last year. Flurry reports that the iPhone 6 Plus was one of the top 5 activated phablets devices this Christmas.